The ministry of Trade and Economic Development are working towards fulfilling some of Tonga’s outstanding obligations to the World Trade Organisation – WTO. A workshop is currently underway to help strengthen the skills of the Tongan trade sector to meet these requirements. Two representatives from the WTO are in Tonga to facilitate a workshop for representatives from related stakeholders in Trade here in Tonga. 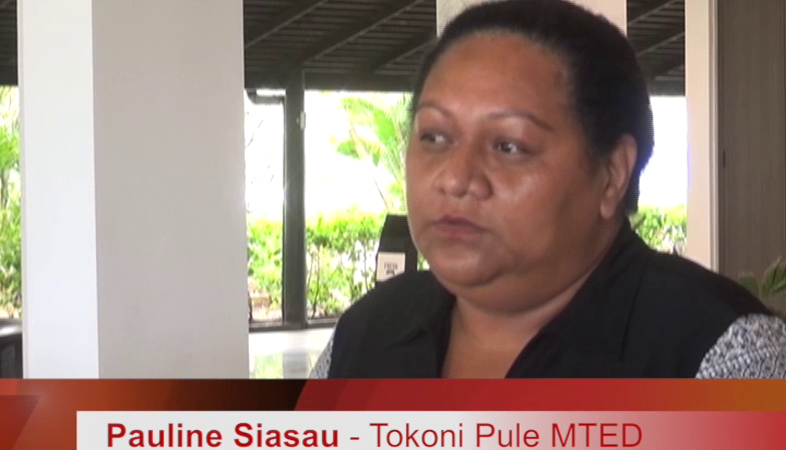 Pauline Siasau the Deputy CEO of MTED says the aim of this workshop is to improve the skills of officials from relevant sectors to be able to carry out the work needed for Tonga to fulfill its transparency obligations to the WTO. This includes updating the WTO on Tonga’s new or updated policies and laws in Trade. Siasau says Tonga has been unable to deliver on this due to a lack of resources and skilled officials in this area. However, with this two-day workshop, attended by several sectors including, agriculture, quarantine, and fisheries, to name a few, the Ministry is hoping that this would boost Tonga’s capabilities and keep their trade partners in the WTO, as well as other partners in trade agreements, updated on our current laws and policies for trade. Tonga has been a member of the World Trade Organisation since July 2007.